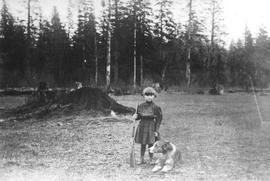 Young girl, Jean Herres, poses with a rifle beside a dog. 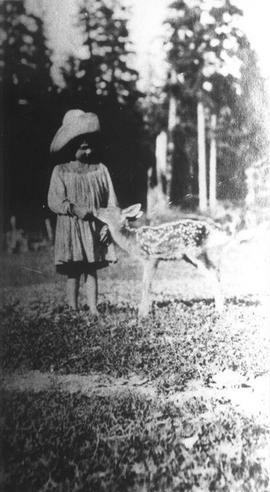 A young girl, Jean Herres, feeds a baby deer. Pack train Alec and George used to take visitors into Garibaldi Park (1930 - 1940). George Munro with horse pack train he would use to pack people into Garibaldi Park, 1933.